Is it good to drink fresh milk? 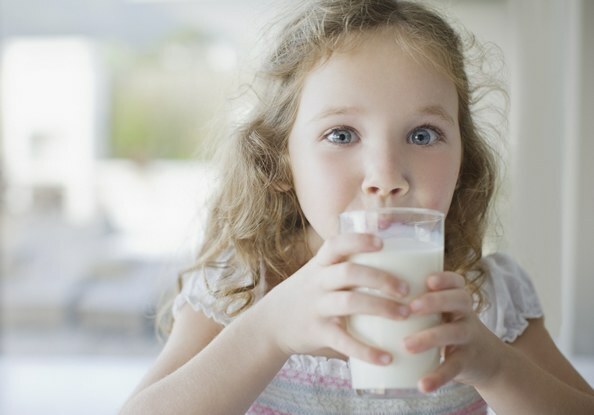 Is it harmful to drink milk to adults? Advice 1: Is it good to drink fresh milk? It is believed that fresh milk – a very useful thing. It's all natural, live and health of such a product certainly doesn't hurt. It turns out, the fresh milk is better than store-bought. Are you sure of that? What age can I give baby cow's milk? Let's start with the fact that milk is a product in itself very useful. It has a lot of calcium, protein and valuable for human vitamins. This vitamin a, b vitamins, vitamin e and valuable minerals. Milk is rich in amino acids and contains lactose – a protein involved in digestive and metabolic processes of the human body. It is worth noting that the lion's share of all useful components of milk and is preserved after thermal treatment, if you make it correctly. Boiled on the stove the milk really loses vitamins, but pasteurization, which takes place in industrial conditions, the milk heats up and cools down very quickly. Technology designed to destroy pathogenic microflora, but keep the good bits. Whether fresh milk immediately from the cow" is much more useful conventional stores? You will be surprised, but the answer is no. The fact that the cow in the village, no matter how pure and beloved it may be, can be a hidden carrier of various diseases, pathogens which penetrate into the milk. The most common is mastitis (inflammation of breast). Mastitis often can place in a latent form and does not affect the state of the cow. Without testing and inspection of a veterinarian, the owners may not even be aware of it. A cow suffering from mastitis produces milk containing a large number of somatic cells and leucocytes. They are already present in milk at time of milking, and in 2-3 hours after it their number increases several times. Add to that the unknown conditions of milking. Washed if the nice grandma that sits on the market, hands and bucket before milking, nobody knows. Would you give this milk to your child? Physicians and veterinarians agree is a clinically proven, store milk in all cases it is better and safer that you can drink right from the cow. The exception is the case when the cow and her owners you personally know and you know that the animal was examined by a veterinarian and it's great. In fairness, it should be noted that the quality of fresh milk, milked in normal sanitary conditions, and from healthy cows, drink is really very helpful. The first 30 minutes after milking in this milk contains a huge amount of immunostimulatory substances. And vitamins, and taste in it is really more. 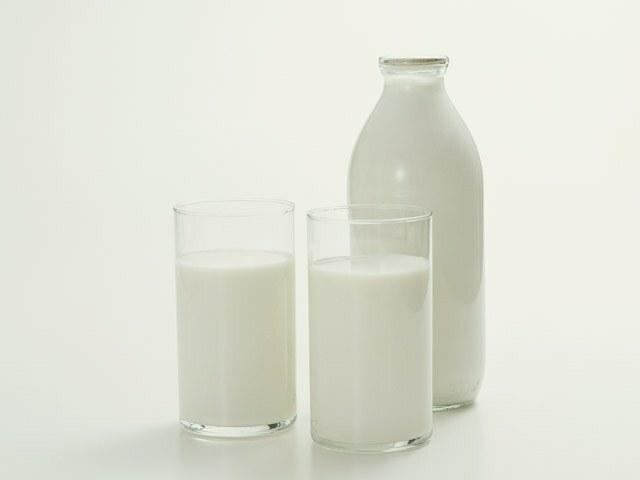 Milk and dairy products is one of the first places in the human diet. The use of these products supplies the body with protein and calcium. Raw milk can only drink "fresh" and only 1-2 hours after milking. With full confidence that the animal is healthy and has complied with all rules of hygiene in its content and with the intake of milk. After two hours fresh milk loses its bactericidal properties and becomes a breeding ground for various bacteria. At temperatures above + 4oC in raw milk start to breed different kinds of microbes and bacteria. Their carriers may not be entirely healthy animals and workers in livestock farms. A perfect habitat for germs is reusable utensils used in milking, as well as leather and wool cows. Animals cannot be kept scrupulously clean, even on a personal farmstead. In raw milk multiply rapidly E. coli and Salmonella. Both microbes cause serious infectious disease: dysentery and salmonellosis. Milk can become a habitat of Staphylococcus and tubercle Bacillus. Unsafe for health and dairy products, naturally fermented from raw milk. In such an environment may fit any of the existing pathogens. All modern methods of milk processing guarantee maximum safety of dairy products. During pasteurization milk is heated, then boiled for at least 15 seconds. Rapid cooling completes the process, making the milk a delicious and useful product. In the production of yogurt, kefir and yoghurt are also used pasteurized milk and specially processed yeast. If you buy raw milk from farmers, it is recommended to boil. Treatment of milk reduces almost to nothing the danger of propagation in it of pathogenic bacteria. But many people still prefer to drink raw milk, believing that it loses its beneficial properties when boiled. Infectious disease physicians and pediatricians are advised to refrain from drinking raw milk for pregnant women, children, and babies. They are particularly at risk of infectious diseases and severe complications of the disease. Milk is recommended to buy from trusted manufacturers, as all the stages of production control supervisors. The standards of production and storage shall be established by the CPS and met in most cases.